Final Fantasy is one of the longest-running series in the industry, and it has changed considerably over the course of its life. No matter how much the combat evolves or how gorgeous the graphics get, a portion of its audience will always have a soft spot for the franchise’s 16-bit glory days. Final Fantasy VI was the last entry of the era, and April 2 marks the 25-year anniversary of its original Japanese launch date. 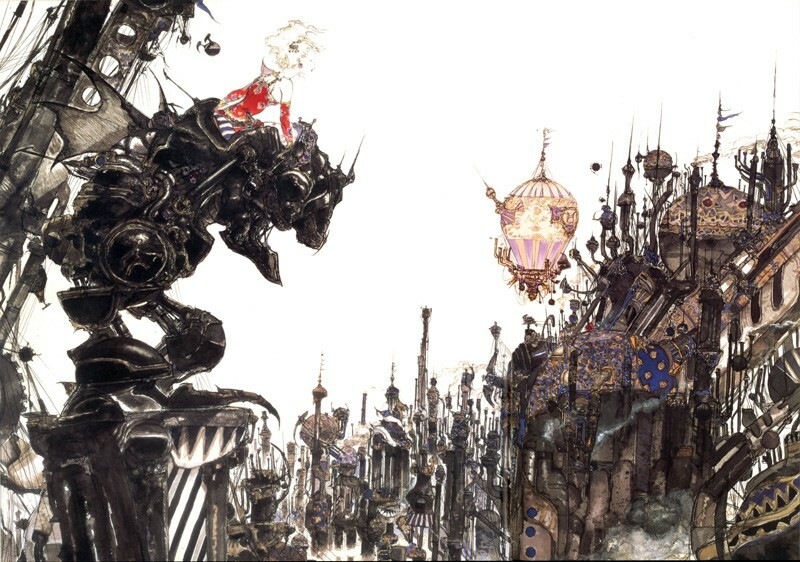 Though Final Fantasy VI (initially called Final Fantasy III in North America) is an important part of gaming history, its venerable age means that some of today’s gamers haven’t played it for themselves. However, you don’t necessarily need to play it to appreciate its impact. All you need to understand is how unique Final Fantasy VI is among its peers; it features a huge ensemble cast, complex themes, and a story that subverts the “plucky heroes save the world” structure. Gameplay surprises – like piloting airships in Mode 7 or entering fighting-game-style commands to execute special attacks – set a high bar for fun and variety. One of the most distinguishing features is the way the game is split into two halves. The first is a traditional, linear adventure about an evil empire and the rebels who fight against it. 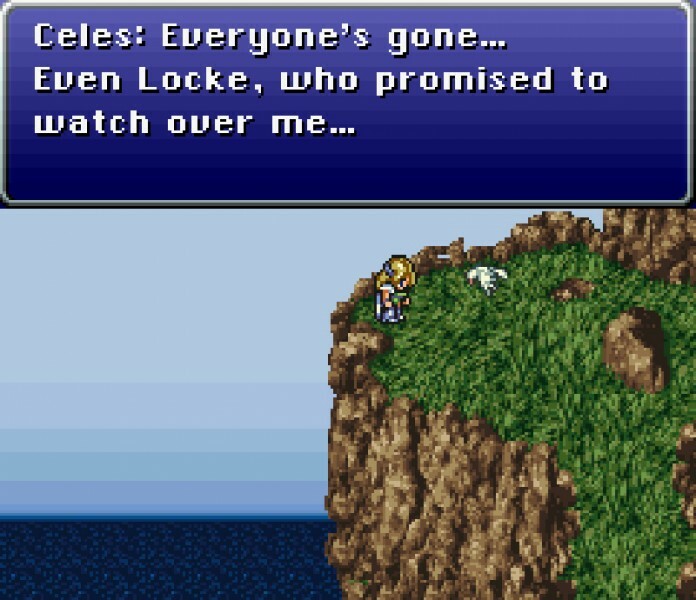 This arc culminates in an apocalypse; players fail to stop the plans of the villain Kefka, and the world falls into ruin. The second half is more freeform, allowing players to wander across the shattered landscape, rejoining old friends and gaining the strength to strike back. This pioneering approach meant that the narrative was largely player-driven in the second half, focusing on smaller character-centric episodes instead of a following a prescribed path with clear objectives. Though it differs in some ways, this formula is a part of the basic structure that open-world games would employ years later. 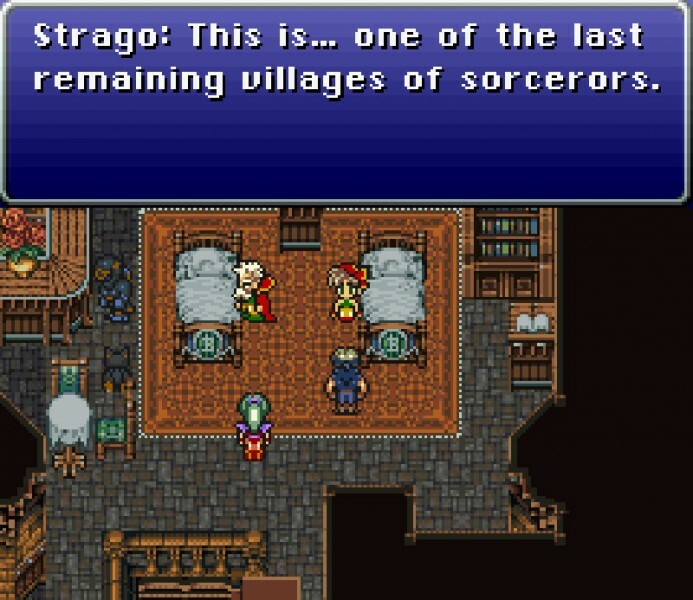 Final Fantasy VI also laid some important groundwork for the future of the series. It featured “desperation attacks,” a prototype version of the now-standard limit breaks. More importantly, it also moved toward a more cinematic presentation with moments like the iconic opera house scene – a sequence that, all these years later, the industry still remembers with clarity and fondness. Though it wasn’t the last of the 16-bit RPGs, Final Fantasy VI is arguably the best of them – and a must-play for any role-playing aficionado. That achievement is even more impressive when you consider that, in 1994, games weren’t made by the massive teams we see today. The groups were smaller, and the content was more personal in some ways. Yoshinori Kitase, now a producer for the Final Fantasy series a whole, was one of the two directors on Final Fantasy VI (alongside Hiroyuki Ito). In 2014, we spoke to Kitase about the development of this classic title for a feature in Game Informer issue 259. The game was celebrating its 20th anniversary then, but Kitase's behind-the-scenes insights from that interview are still relevant today. So in celebration of today's big milestone, we're revisiting that glimpse at what shaped Final Fantasy VI into one of the most revered RPGs ever made. Game Informer: When you began making the game, did you know that it would be the last 2D Final Fantasy? If so, did that add any extra pressure to exit the 16-bit era in style? Yoshinori Kitase: I didn’t imagine that this would be the last 16-bit game in the series. In fact, we started developing Final Fantasy VII for the SNES after we finished Final Fantasy VI. However, the Final Fantasy VII SNES team was temporarily dissolved when help was needed for the production of Chrono Trigger. As a result, Final Fantasy VI became the last 16-bit game in the series. What do you think players connected with most when it first released? “Everyone is the main character” was the theme we adopted when the production began. Thoroughly crafted stories dedicated to each and every character may have been the biggest factor that has appealed to fans and may be the reason this game has received their lasting support. The two halves of the game are very different. How did the team arrive at the decision to split the game? Were you ever worried that players might feel lost in the second half without direction? When we started developing the game, only the first half of the script was completed and the second half was still a blank slate (this was typical for Final Fantasy games back then). RPG storylines of that time often entailed an apocalyptic crisis and a hero who saves the world at a hair’s breadth. Growing tired of the same old scenario, we decided to “end the world” with this game! It was then that we finally started thinking about how the game would play out after the apocalypse. With the concept of “everyone is the main character” in mind, we felt and decided it would be best to allow players to choose and play their favorite character, resulting in a player-driven second half. Of course, there were concerns about players not knowing what to do next, but we resolved these issues through multiple test plays and adding hints throughout the game. Final Fantasy VI has 14 playable characters. Did that pose any challenges during development? Is there a particular reason that the following games kept the cast smaller? Back then, the entire development team contributed to the scenario instead of a single scenario writer creating the story. Even when establishing characters, the entire staff brainstormed and put forth many suggestions. Thanks to this, we never ran out of ideas. I would screen these ideas and ultimately adjust them to maintain consistency within the script. For example, I created the setting for a character named Gau. Stories like "Flowers for Algernon" and the one about a boy raised by wolves served as an inspiration, and the character evolved from there. Tetsuya Nomura, the designer, created characters like Shadow and Setzer. At that time, he was a dot artist for monster designs, but he proposed ideas regarding the character’s personality and background in addition to the illustrations. Similarly, other staff members created characters based on their own imagination and inspiration. There isn’t a particular reason for the smaller cast in following games, although it may have been something to do with the transition to 3D that led to a more realistic expression of characters. Stories tended to delve into a single character, so the size of the cast may have been compromised due to the scenario structure. Flying airships was an iconic part of early Final Fantasy titles. 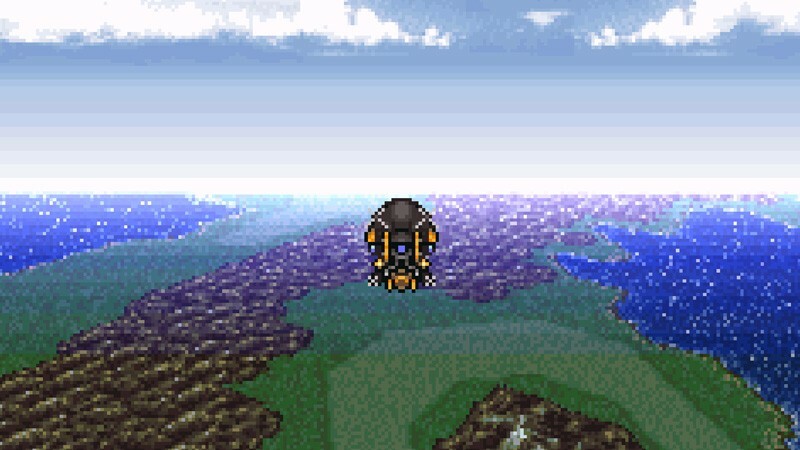 What inspired the decision to try it from a different perspective in Final Fantasy VI? At that time, the concept of “the flying ship” was fascinatingly portrayed in Hayao Miyazaki’s animation and captivated us by its dynamic visual expression. On the other hand, the NES specs only allowed for flat 2D graphics, and we yearned to express a game dynamically with depth in a similar fashion. With the SNES, we were able to generate quasi-3D graphics called Mode 7, which finally enabled us to design an airship that was closer to what we had envisioned. It may be more accurate to say that we were finally able to generate something close to what we had originally desired rather than doing something different from the previous titles. The Kaiser Dragon super-boss was originally cut (but included in Final Fantasy VI Advance). Can you tell us about anything other content that was planned but did not make it into the final version? During the planning stages, there was an idea to make a game out of Strago cultivating a village. It was a city-building game similar to SimCity, but was cancelled at a very early stage due to certain issues with the development schedule. An early version of what we now call limit breaks exists in Final Fantasy VI, executed randomly when characters are low on HP. Where did this idea come from? The Final Fantasy series started to see an increase in sales from around Final Fantasy IV, and our player base expanded to include both beginners and advanced players. 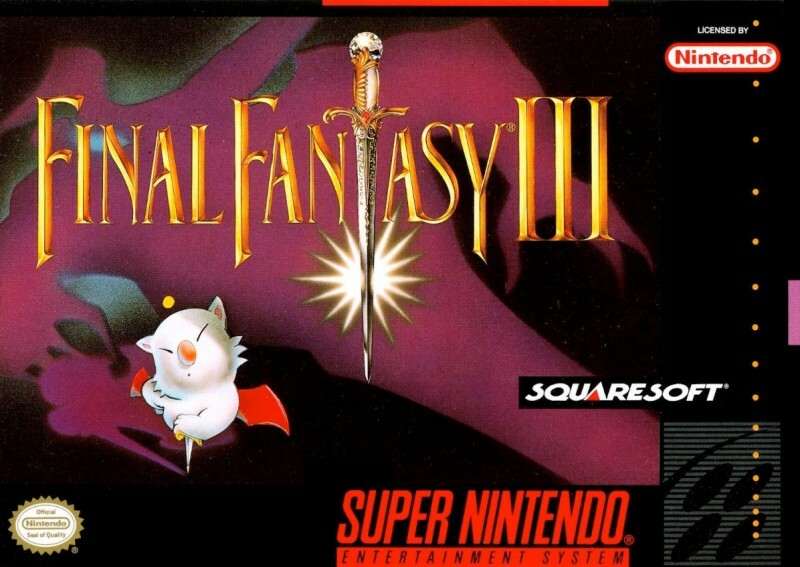 In order to cater to different groups, an “easy mode” version of Final Fantasy IV was released; however, while this solution was well-received by beginners, it generated some dissatisfaction among the traditional Final Fantasy fans. In an effort to satisfy both types of players, we came up with an idea for a special move that triggers when the player is in a critical situation. Beginners are more prone to receiving damage, so when the magic triggers at a time of distress, it provides the players with a chance for a comeback. On the other hand, advanced players are less likely to find themselves in such situations, so the magic triggers less frequently, creating a more challenging experience. Limit Break was devised with a similar thought process. 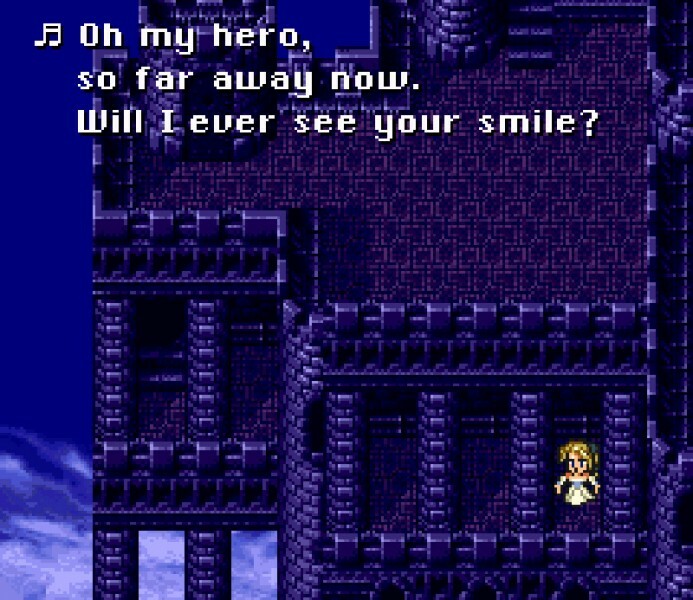 What is your personal favorite moment in Final Fantasy VI? Darill's Tomb and the opera scene are two of my favorites, as those are some of the scenes in the game that I directly supervised. 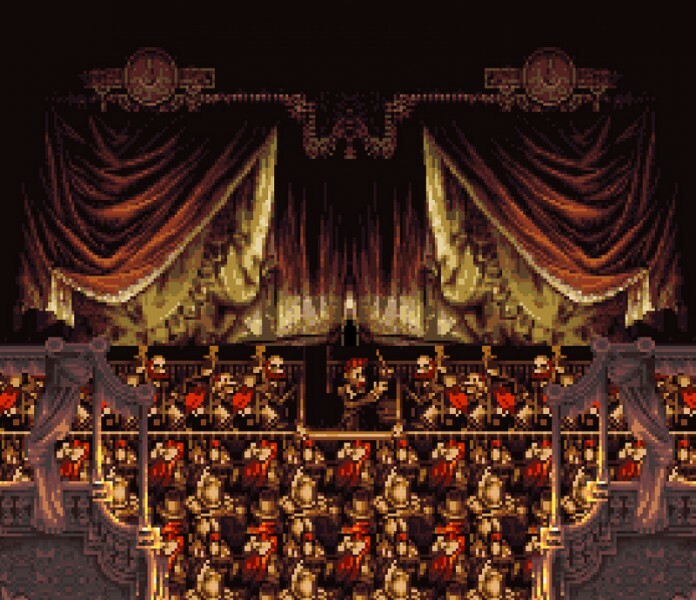 The opera scene is still brought up today as one of the most memorable moments in video games. Can you explain how that sequence originated? When the producer, Hironobu Sakaguchi, gave me the plot, there was only one line written in the scene – “an event to be held at the opera.” From this brief line alone, I sensed that this sequence would become one of the most memorable moments of the game. My task was to expand on that single line. I spoke to the composer, Nobuo Uematsu, and Hideo Minaba, the artist, about how we would go about structuring the sequence for several days. Alfred Hitchcock’s The Man Who Knew Too Much was in my mind, and we decided to move forward with a suspenseful sequence including cutbacks between the performance on stage and actions behind-the-scene. Uematsu composed superb tracks including “Aria Di Mezzo Carattere,” and Minaba created stunning artwork of the opera house. Before creating this sequence, Sakaguchi recommended that I watch an opera in person for reference, but I never got the chance to see one. I ended up creating this scene from pure imagination. But, three years ago, I managed to watch Uematsu’s orchestral concert at the historic Royal Albert Hall in London. That’s right! It’s the concert hall where The Man Who Knew Too Much took place. It was extremely emotional to view the concert in a real theater for the first time in 17 years. 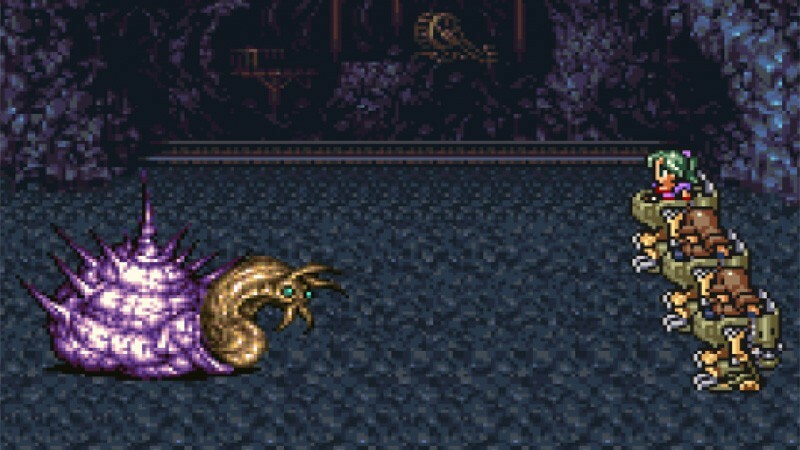 Final Fantasy VI deals with some mature themes – like suicide and loss – in a time when many of its peers were sticking to safer material. Did you have any reservations about including these topics during development? Back then, video games were not widely recognized and were more or less perceived as children’s entertainment. I believe we had a strong desire to appeal to the public with sensational, mature themes (in hindsight, it was done in the rashness of youth). On the contrary, with video games having a greater social influence, we may have been a bit more hesitant to do so in this day and age. Back in issue 290, Game Informer ranked the top 100 RPGs of all time. 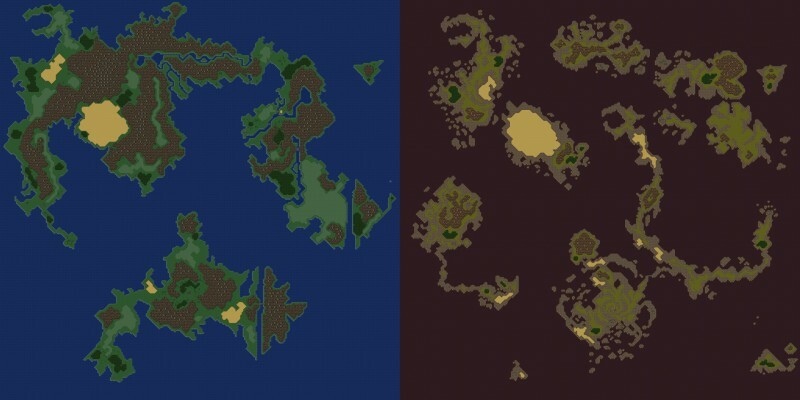 Where did Final Fantasy VI land? Way up at #2, flanked by Skyrim at #1 and Chrono Trigger at #3. If you're curious about how your other favorites fared, you can read our entire list. If you want to celebrate 25 years of Final Fantasy VI by playing it yourself, it is most easily accessible today on Steam, iOS, Android, and as one of many games on the SNES Classic Edition (though it is also available on multiple legacy platforms). For more of our coverage on Final Fantasy VI, watch our episode of Replay featuring the game, or our Spoiled discussion.